University of Maine's Wes Myers (right) drives the lane past University of New Hampshire's Jaleen Smith at the Cross Insurance Center in January. University of Maine's Aaron Calixte (right) tries for two past Columbia's Luke Petrasek in January at the Cross Insurance Center in Bangor. ORONO, Maine — The night was Jan. 30, 2016. The University of Maine men’s basketball team, fielding a starting lineup of three freshmen and two sophomores, had just defeated Binghamton to improve its America East record to 4-4 midway through the conference season. Welcome to the league’s middle class, the record suggested. So much has happened within coach Bob Walsh’s program since then, most notably the transfer of five players and a succession of injuries that left this winter’s squad shorthanded. Add in a locker-room altercation near the end of the season that resulted in the suspension of five players, including leading scorer Wes Myers, and the fall has been precipitous. Since that 2016 victory over Binghamton, UMaine has lost 34 of 41 games, with a 7-25 record this winter leaving the team ranked 322nd of 351 Division I teams nationally by the NCAA Ratings Percentage Index. 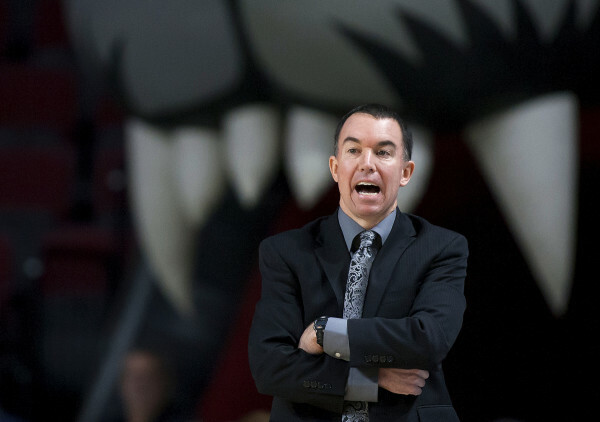 “It’s been a very challenging 365 days but it’s ultimately all my responsibility,” said Walsh, who came to UMaine in 2014 after nine years as head coach at Division III Rhode Island College and seven years as an assistant at Providence. “I’m the head coach of the program. I don’t get into Murphy’s Law or bad breaks or bad luck. I have to take responsibility for all of it, and while I feel good about a lot of the progress we’ve made internally, we certainly expect to do better. How much longer Walsh, 18-74 in three years at UMaine, will get to turn the program around likely will depend on next season, the final year of his initial four-year contract. 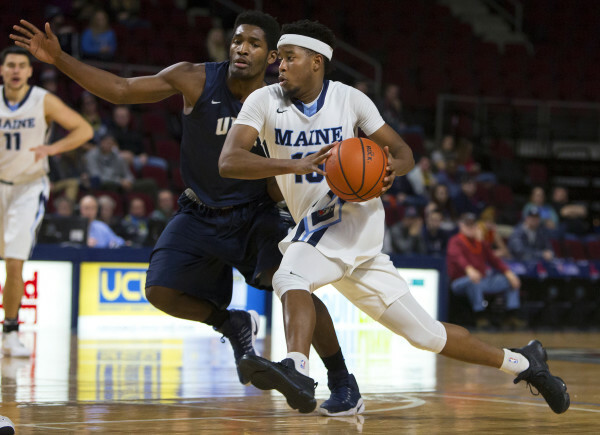 UMaine struggled after that 2016 win over Binghamton, losing its last 10 games as rival America East coaches became more familiar with the youthful team. The promise displayed by three players — sophomore guard Kevin Little and freshmen forwards Issac Vann and Devine Eke, all starters in the Binghamton win — led them to seek other Division I opportunities. Vann and Little, UMaine’s leading scorers during 2015-2016 season, transferred to higher-level programs, Virginia Commonwealth and Colorado State, respectively. Eke, the top rebounder as a freshman, moved to Rider University in his native New Jersey. Two other team members, Lavar Harewood and walk-on Walter King, also transferred, Harewood to a junior college and King to Division II New York Institute of Technology. “Certainly in men’s college basketball the transfers are real at our level and that’s something you have to deal with,” said Creech, “but it also can’t be an excuse for us. We’ve got to be able to find kids who want to be at Maine for more than one year before they start looking for different opportunities, if they do at all. Medical woes followed even before the current campaign started as senior captain Garet Beal of Beals Island and senior guard Troy Reid-Knight were sidelined by season-ending foot/ankle injuries. Another captain, junior guard Aaron Calixte, played only five games due to a foot injury after starting 54 of 60 games during his first two years. Junior college transfer Ilker Er, a top 3-point threat, averaged 10.1 points per game before a knee injury ended his season after 11 games. And four-time 2017 America East rookie of the week Andrew Fleming of South Paris missed nearly a month with an ankle injury and strep throat. “The injuries hit hard this year and added to the adversity where really, for a lot of games, we weren’t playing with a full roster,” said Creech. The exclamation point to this winter’s struggles came Valentine’s Day when an altercation over music in the locker room ended with Myers breaking senior forward Marko Pirovic’s jaw with a punch, according to a University of Maine police report. Myers, who averaged 16.9 points after transferring from Niagara, and the injured Pirovic, sat out the rest of the schedule. Three teammates suspended for providing false information about the incident subsequently were reinstated. One lingering question as the incident faces review under the university’s student conduct policy is whether Myers, a junior, will return to the team next season. While Myers’ UMaine future is uncertain, UMaine should field its most experienced team under Walsh next winter. Top returners should include Calixte, Er, Ilija Stojiljkovic, Fleming, freshman center Vincent Eze and guards Ryan Bernstein, Danny Evans and Austin Howard. 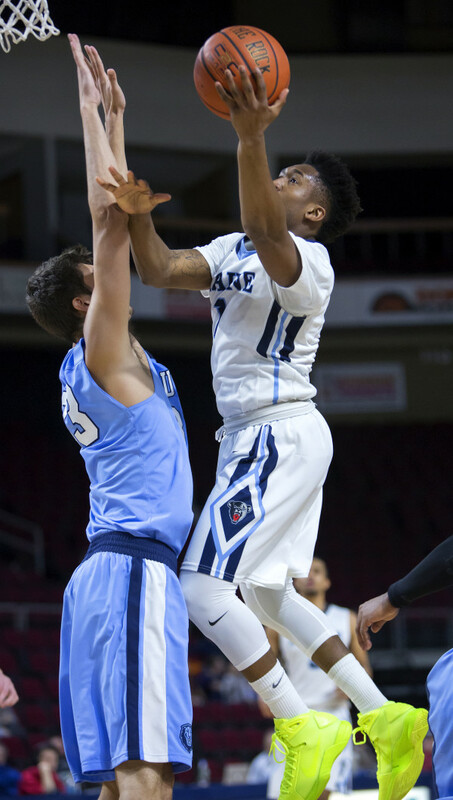 Walsh also expects immediate contributions from Dusan Majstorovic, a 6-5 sophomore who prepped with Calixte and Stojiljkovic at Lee Academy, and 6-5 sophomore Isaiah White, who averaged 11 points per game at Harford Community College in Bel Air, Maryland, this winter. “We feel like we have a chance to be pretty good,” said Walsh, who has two more scholarships available. “Next year we could have a combination of talent and experience that we have yet to put on the floor. And if UMaine can’t rise in the standings during the next 365 days will Walsh get the chance to continue?